Leading film studies scholars explore the astonishing range of Michael Curtiz, the most prolific director of studio-era Hollywood, whose nearly one hundred films include Casablanca, White Christmas, and Mildred Pierce. 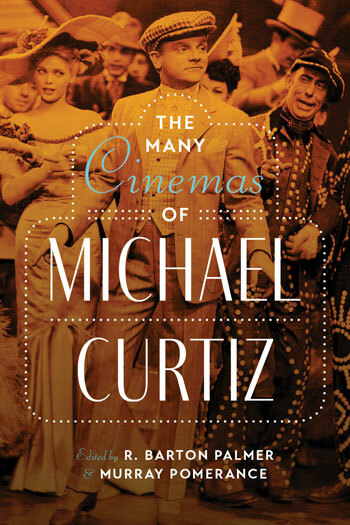 Exploring his films and artistic practice from a variety of angles, including politics, gender, and genre, The Many Cinemas of Michael Curtiz sheds new light on this underappreciated cinematic genius. Leading film studies scholars offer fresh appraisals of many of Curtiz’s most popular films, while also paying attention to neglected releases of substantial historical interest, such as Noah’s Ark , Night and Day, Virginia City, Black Fury, Mystery of the Wax Museum, and Female. Because Curtiz worked for so long and in so many genres, this analysis of his work becomes more than an author study of a notable director. Instead, The Many Cinemas of Michael Curtiz effectively adds a major chapter to the history of Hollywood’s studio era, including its internationalism and the significant contributions of European émigrés. Palmer is Calhoun Lemon Professor of Literature at Clemson University in Clemson, South Carolina, and author or editor of many books, including Hollywood's Tennessee: The Williams Films and Postwar America and After Hitchcock: Influence, Imitation, and Intertextuality..
Pomerance is Professor of Sociology at Ryerson University. He is the author or editor of many books, including The Man Who Knew Too Much, Moment of Action: Riddles of Cinematic Performance, and The Eyes Have It: Cinema and the Reality Effect. He is also the editor or coeditor of several book series in film studies.